Not reality – just perception! Today we have a great article courtesy of Scott Seifferlein. A previous guest make sure to listen to his interview here. Take it away Scott. Price does not create an emotional response and almost NOBODY buys on price. So why are over 95% of all golf instructors selling on price??? 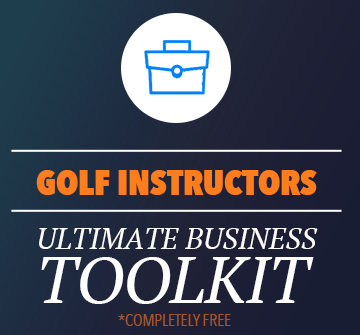 This month we will highlight the topic of creating an Emotional Based Message for your golf coaching business and why it will make you GOBS of money in 2014. And don’t think for one minute that there is not GOBS of money out there to be made. In fact, if you can’t make money in the golf industry you have serious problems. You can send me all the hate mail you want. Trust me, you won’t be the first or the last. It’s time to face the music. More money is spent on golf by men than any other industry. Period! A lot of golf pros are looking to grow. Hey most you probably are.